Penguin Films se paaie het met die van Joe Mafela gekruis tydens die vervaardiging van die gewilde 1986-sitkom, Sgudi ‘Snaysi, waarin Mafela die rol van S’dumo gespeel het wat by Sis May (gespeel deur oorlede Daphne Hlomuka) loseer het. Met die verloop van die program se 78 episodes, het Joe Mafela ’n geliefde kulturele held geword. Sara se Geheim 1 & 2, een van hul mees onlangse produksies vir kykNET, het pas pryse gewen vir Beste Drama en Beste Akteur in ’n Drama (Marlo Minnaar) by die 2018 Huisgenoot Tempo-toekennings en die span is baie positief oor Paw-Paw Films se toekoms. SAFTA and International Award-winning film company, Penguin Films, is proud to announce that Juju Mafela – the middle son of the late veteran actor, Joe Mafela – has taken over his father’s shareholding in the company. Juju, who will be joining the production team as a creative producer, is looking forward to following in his father’s footsteps, as it has been his lifelong dream to be in a position where he could reinvent how people share creativity and tells stories that inspire audiences. “Penguin Films is a company that does amazing work and it’s my objective, coming in as a partner, to grow the company internationally by any means necessary. That was the conversation I had with my father, and as the company grows so too does his legacy,” Juju shares. Penguin Films first crossed paths with Joe Mafela while producing the popular 1986 sitcom, Sgudi ‘Snaysi, in which Mafela starred as S’dumo, the lodger to Sis May (played by the late Daphne Hlomuka). 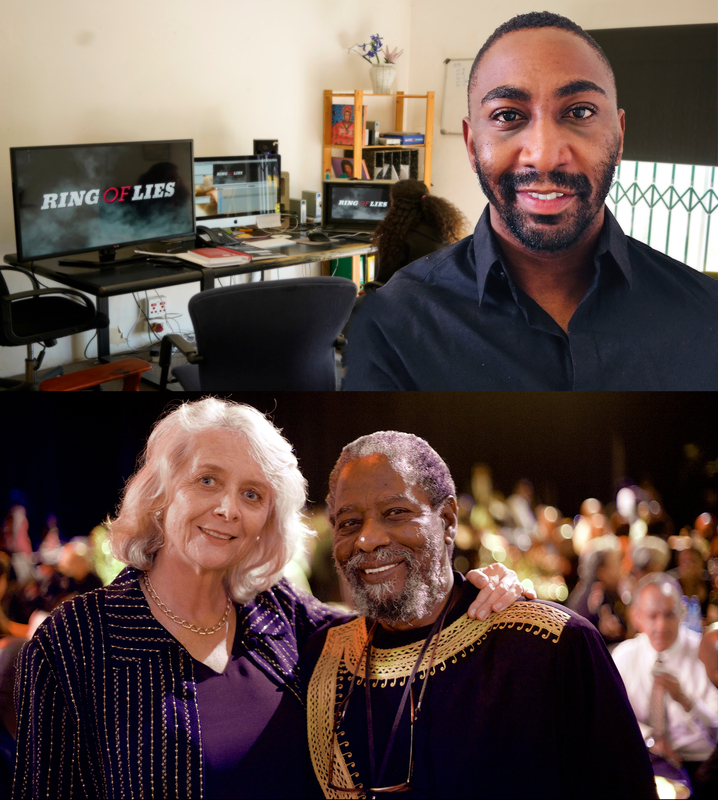 Over the course of the show’s 78 episodes, Joe Mafela become a beloved cultural hero. During his successful career, Joe received a host of industry Lifetime Achievement Awards, including a Lifetime Achievement Award from the NFVF, the Comics’ Choice Award, a Duku Duku Black Entertainment Award and a Naledi Theatre Award. The South African film and television industry mourned his untimely death in March 2017. Due to the popularity of Sgudi ‘Snaysi, Mafela and Penguin Films went on to produce Going Up and the voter education series Khululeka. Since then the company has been responsible for various award-winning sitcoms like Madam and Eve, SOS, Fishy Feshuns, Going Up Again, Mazinyo dot Q and Stokvel. Their recent drama series include the award-winning Saints and Sinners and the telenovela Ring of Lies. Penguin Films also produced the acclaimed blockbuster about the historical heroin, Krotoa, starring Crystal-Donna Roberts and Armand Aucamp who has just won Best Actor at the Huisgenoot Tempo Awards for this film. Penguin is currently in production with Arendsvlei, kykNET & Kie’s (channel 145) first original Afrikaans telenovela, which is on air from Mondays to Wednesdays, at 20:00. In the meantime, sister company Paw-Paw Films has also announced that Sheena Lee Hendricks will take up a 23% share as a new shareholder. Hendricks who joined the company in 2013 and who works on the business side, is thrilled about starting this brand new chapter of her career. “I am now moving towards producing on the business side of things, which is really where I see myself growing even further. I come from humble beginnings and have always strived to give a 110% all of the time. What I intend on doing with that 110%, is to continue working hard to contribute towards Paw-Paw and Penguin Films’ success and with the amazing guidance and support of Roberta Durrant the sky will always be my limit,” Sheena Lee explains. Paw-Paw Films has been producing content since 2006. The company is responsible for numerous popular shows like Z’bondiwe 1, 2 & 3 (eTV); Sokhulu & Partners 1, 2 & 3 (SABC 1); Isikizi 1 & 2 (Mzansi Magic); Shreds and Dreams 1 & 2 (SABC 1); Izangane Zobaba (SABC 1); Democracy Back to Human Rights (SABC 2); Kemang – who am I? (SABC 1); and Take a Trip to (SABC 3). Their drama series Ambitions (eTV) is currently on air every Sunday at 9pm on eExtra (OpenView channel 105 or DStv channel 195) and repeated on Wednesdays at 9.30pm. Ambitions is also available online on eTV’s YouTube channel. Sara se Geheim 1 & 2, one of their most recent productions for kykNET, has just won Best Drama and Best Actor in a Drama (Marlo Minnaar) at the 2018 Huisgenoot Tempo Awards and the team is positive about Paw-Paw Films’s future.